08 rooms, two rooms with one queen and one single bed; one twin room; two double bed rooms; one room with king size bed and 2 single beds, one room with 1 queen size bed room and 3 single beds, one suite with 1 queen size bed and 1 single bed. 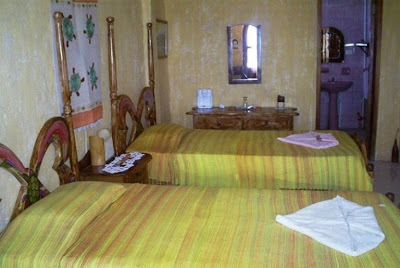 All rooms offer a private bathroom, air conditioning and Cable TV. Most rooms offer sea view.